1. Somewhere, there is a bright young coach is who ready, but I have zero faith that the Bucs will hire the right guy. They could go to a coaches convention, and a coach could be standing under a neon sign that said "right guy," and this team couldn't find him. 2. The Bucs collect five-win seasons like a coin collector gathers old pennies. What makes this season even more frustrating for the Bucs is the talent on the offense that was wasted. It's doubtful that new Coach Whoever will match it. 3. I think DeSean Jackson gets one more chance somewhere else, but the coach (and quarterback) involved won't be happy at the end. The guy is on the verge of whining his way out of the NFL. Think about it. He was the fifth best receiver on this team at best (Evans, Godwin, Humphries, Howard). 4. So Jason Licht is still here? Really? That surprised me, especially with his history of second-round draft picks. Roberto Aguayo alone would be enough to kick a g.m. to the curb. 5. No, I'm not satisfied with the progress of Jameis Winston, either. But until the Bucs can run, can block, can cover and can play defense, they won't win. It doesn't matter who the coach is. (On why he was retained): "I'm grateful to be here, I'm grateful to be standing here. I told that to Dirk last night. He told me that he was happy that I was here. Right now, like I said, the Glazer family has put their confidence in me to find the next head coach and I'm grateful for that opportunity. And we're committed to find that guy." (On the firing of Dirk Koetter): "Difficult day here for all of us here, inside the walls here, when you let a man like Dirk go. I'll just start by saying a few things about him. Nothing's really changed about Dirk the person since the day we hired him. He's got integrity, as you guys know, honesty, he's very direct. A lot of you guys have seen that first-hand several times. (He) worked very, very hard — extremely great work ethic. He and his staff really believed in what they did, and those are qualities that you look for in a head coach, in a good coach, and he is a good coach. And if Dirk ends up continuing his career, another organization is going to be lucky to have him. Ultimately, results, the wins, just weren't there. Collectively, everybody here within the organization has fallen short of expectations of what we thought we could do. So they've been disappointing for the entire organization, but we are determined to get back on track." (On if the Glazers sought his advice on firing Koetter): "Towards the end of the year — well, throughout the entire year – I'm obviously in constant contact with ownership. Towards the end of the year, I give them my ‘state of the union’ address or, for lack of a better word, the ‘state of the team’ address, I guess. I tell them what my opinions are, they tell me what their opinions are, and then they methodically and carefully think out their plan, their decisions. And they let me know after the game last night that this was the direction they wanted to go." "Bruce Arians might be open to another head coaching job not in Cleveland. The former Arizona Cardinals coach went on record earlier this year saying the Browns were the "only" team he'd consider coming out of retirement to lead. "NFL Network Insider Ian Rapoport reported that the Tampa Bay Buccaneers could intrigue Arians, given his relationship with GM Jason Licht. "I know Jason. So I would listen," Arians texted Rapoport. "Given Arians' vast background in working with quarterbacks, he would be an intriguing option for the Bucs, who are reportedly sticking with Jameis Winston at this point." 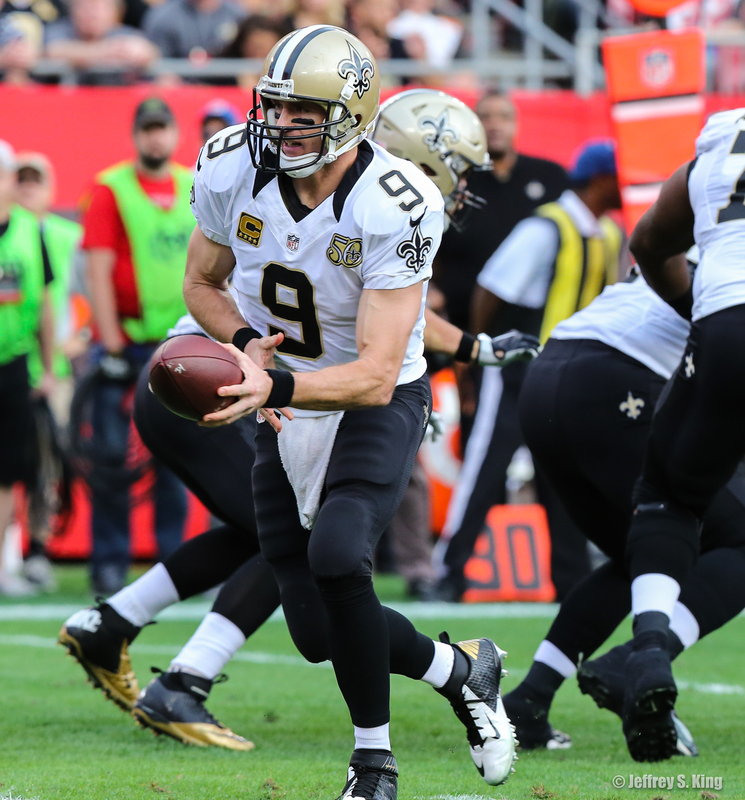 "The Falcons were listless for a half, dominant in between and then did just enough at the end to overcome their own foibles. 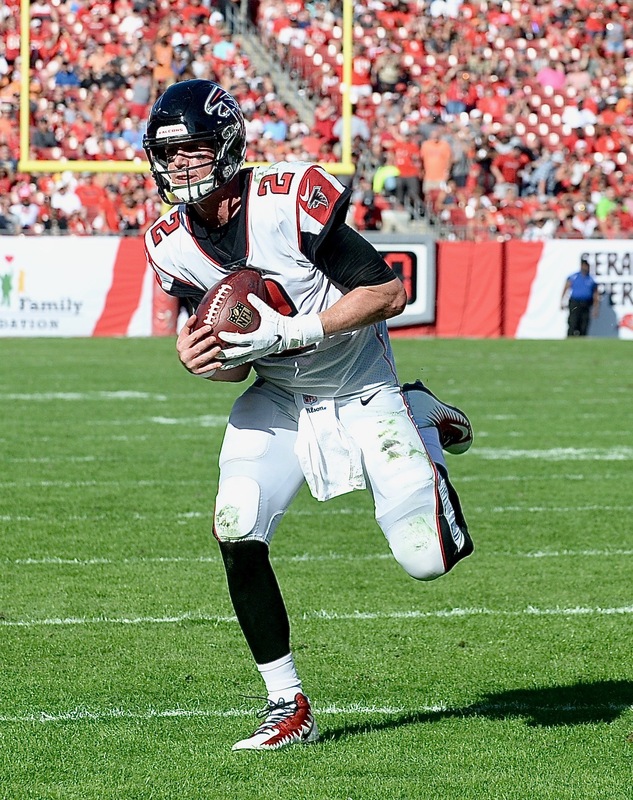 "The Falcons are good enough to come back from 17 points down to beat an NFC South foe on the road. But the Falcons are flawed enough that they faced that deficit in the first place, against an opponent with less talent and no more incentive. That sounds about right for their season." The Buccaneers stumbled through another disappointing season and now have a big decision to make at the quarterback position. But the uneven performance of their passers is far from the only thing keeping the Bucs from being a contender. Upgrades should be considered at every level of the defense, and the left tackle spot is screaming for attention as well. "The Bucs’ decision comes down to the team believing it is unlikely to find a better player in this year’s draft. That’s probably an accurate read of the situation. Tampa Bay should have a Top-10 pick but none of the QBs in this class figure to generate anywhere near the hype that Winston did with his skillset. "We’ve become accustomed to understanding NFL teams according to their QB situation. Some have a franchise QB (Packers, Patriots, Saints) who eats up too much of the cap but is good enough to make up for it. Others hope they’ve found one but aren’t paying them cap-crippling money yet (Rams, Eagles). Still others are perpetually looking (Browns, Jets). "It can be tempting for teams that have not won consistently to simply revert to searching for the right QB. It’s the surest way to create energy in the fanbase. And not having a huge salary on the books often means a better supporting cast. "But it’s not a particularly effective way to go: The first five QBs taken in 2014, the year prior to Winston entering the league, were Blake Bortles, Johnny Manziel, Teddy Bridgewater, Derek Carr and Jimmy Garoppolo. Bridgewater and Garoppolo have dealt with injuries but have shown promise, while Bortles and Carr have been good enough when surrounded by the right players. "The first five in 2016 were: Jared Goff, Carson Wentz, Paxton Lynch, Christian Hackenberg and Jacoby Brissett. You get the idea. "Winston has had discipline issues (but if the Bucs cared about those they wouldn’t have drafted him, since they began in college). And he, for some reason, eats Ws. He’s by no means perfect and there’s a very good chance the Bucs don’t opt to commit longterm. There’s a good chance they’ll have a new coach, and that new coach may want to start over if he doesn’t jibe with Winston. "But ditching Winston now would be foolish. Yearning for some fresh-faced QB to be the answer is fashionable in the NFL, but that’s only because it so infrequently works out the way it’s supposed to." 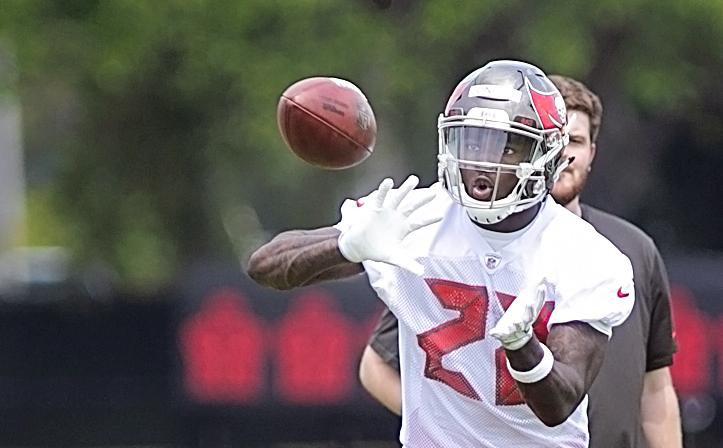 "With DeSean Jackson out of the lineup, the Buccaneers needed to look elsewhere for a secondary option alongside Mike Evans. Chris Godwin stepped up for the Bucs, making a few catches that picked up some chunk yardage. Godwin was also responsible for the Bucs’ first and last touchdown, a 30-yard catch beating Sharrod Neasman down the sideline. 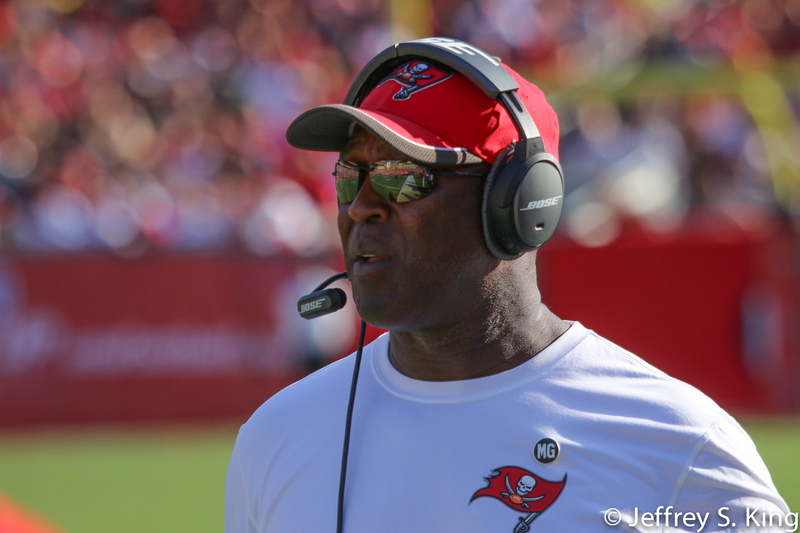 "Jameis Winston continued his solid play for the Bucs to close the season. Winston hit some chunk plays for the Bucs, and dealt with close coverage by the Falcons in the second half and managed to put the ball in good spots. Winston’s third-quarter interception was a nice play by Desmond Trufant with a bit of a lucky bounce and was not Winston’s fault. 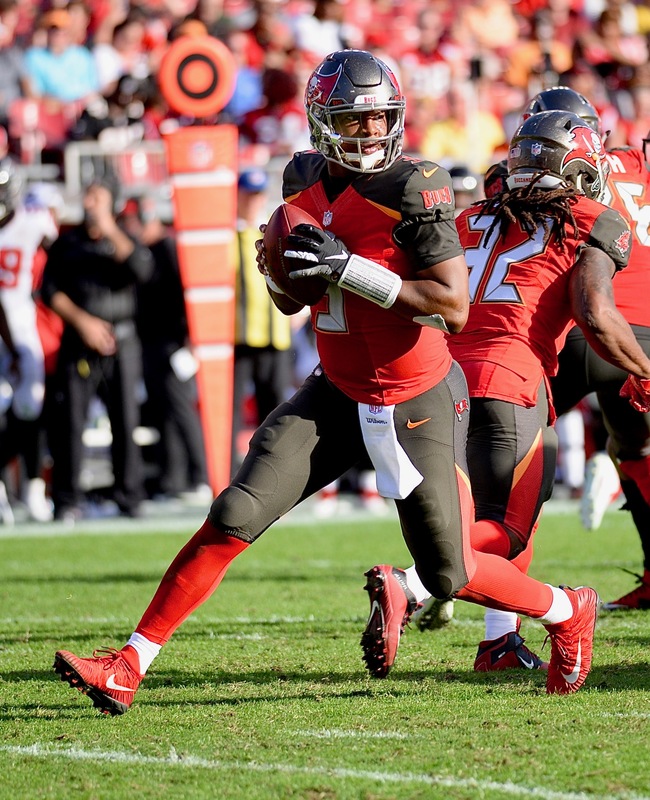 Winston kept the ball out of danger all day and nearly led the Bucs to a season-ending win. 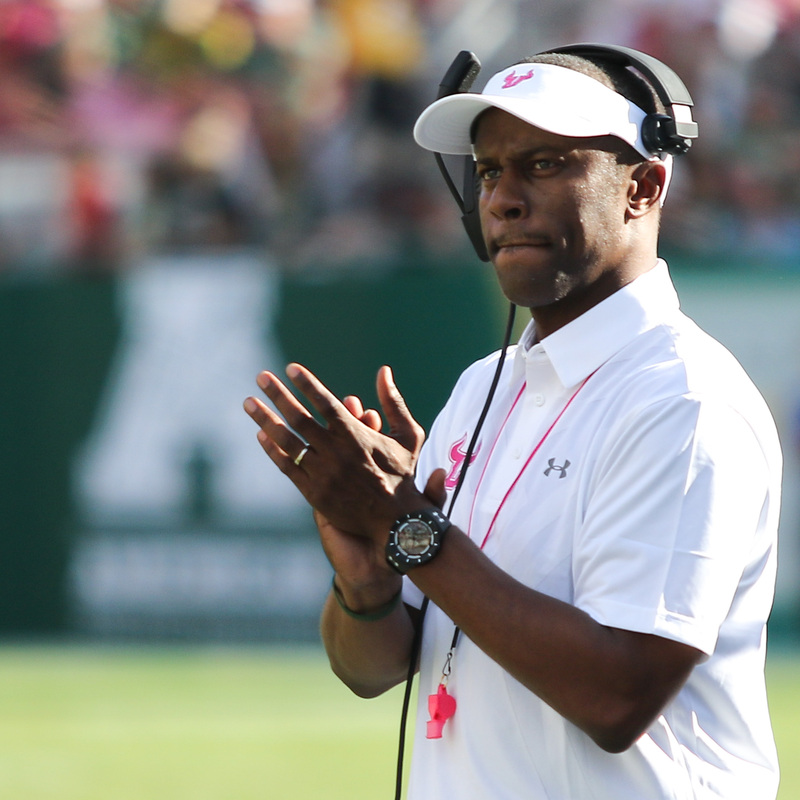 "Tampa’s defense started extremely well, really containing the Atlanta passing game. They did an excellent job of contesting catches and broke up several passes. As the game wore on, that coverage loosened and they couldn’t seem to make a big stop when needed. "The Bucs’ pass rushers created a decent amount of pressure on Ryan, but they lacked the end result. They had just one sack on the day and rarely were able to get a hit on Ryan." Offense: Jameis Winston went out with a strong effort, throwing for 345 yards and four touchdowns. His last pass gave the Bucs a lead that it couldn't hold. Defense: Lavonte David had nine tackles to lead the Bucs. He usually ends up atop the tackle list, but he needs better players around him. Special teams: Cairo Santos went out well, hitting all of his extra points and both of his field goal tries. Quarterback: Winston remains flawed, but this team has no other options in its efforts to win. It'll be interesting to see what a new coach does. Grade: A-. Running back: Barber averaged 4.4 yards per carry, which will do. It was interesting that Ronald Jones, even in a forgettable game, didn't get a carry. Grade: B. Offensive line: The line had another four-sack day. Winston was sacked 27 times in a shortened season. 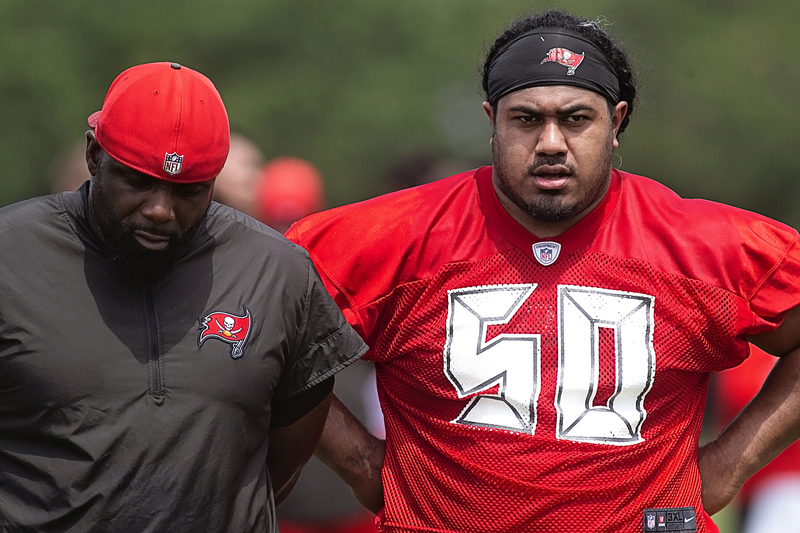 Grade: D.
Defensive line: Vita Vea's strong finish continued, providing hope for next season. But the line was dominated in the last five minutes. Grade: C.
Linebackers: David and Adarius Taylor led the Bucs tacklers. Grade: B+. Secondary: Ryan became the latest opposing quarterback to have a rating of more than 100. 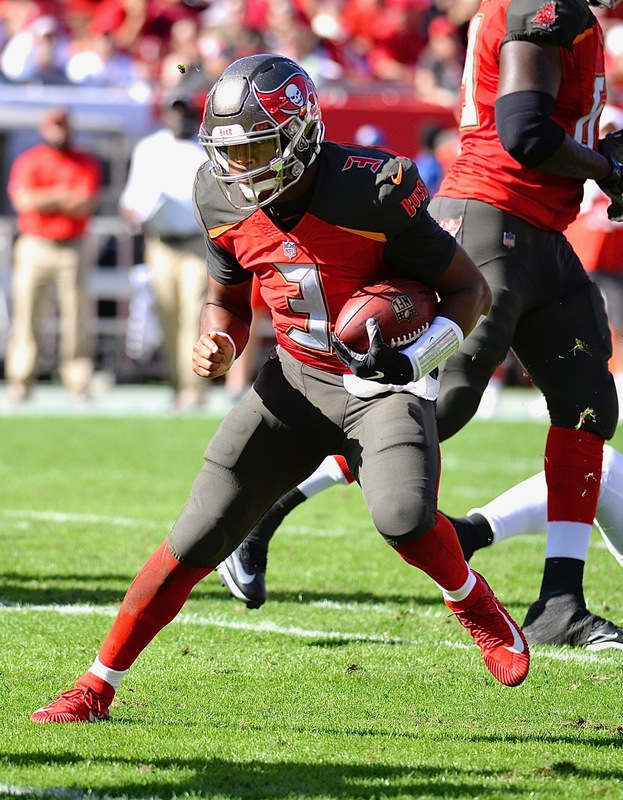 Grade: D.
1-10-19 -- Late in the fourth quarter, Jameis Winston ran his final play of the 2018 season. He hit Chris Godwin, who made his way into the end zone to give the Bucs a lead. 1-10-27 -- The Falcons let the Bucs back into the game when Matt Ryan rolled right and overthrew his receiver. Andrew Adams caught it and set up the Bucs at the Atlanta 34. 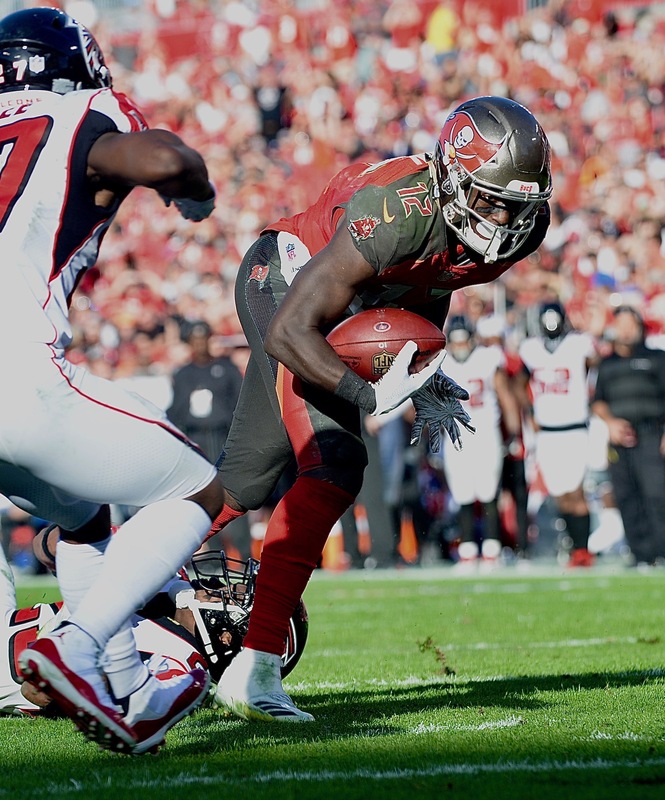 1-10-30 -- The Bucs took a 17-0 lead when James Winston found Chris Godwin -- who had been slumping -- for a touchdown. Godwin had six catches for 114 yards. 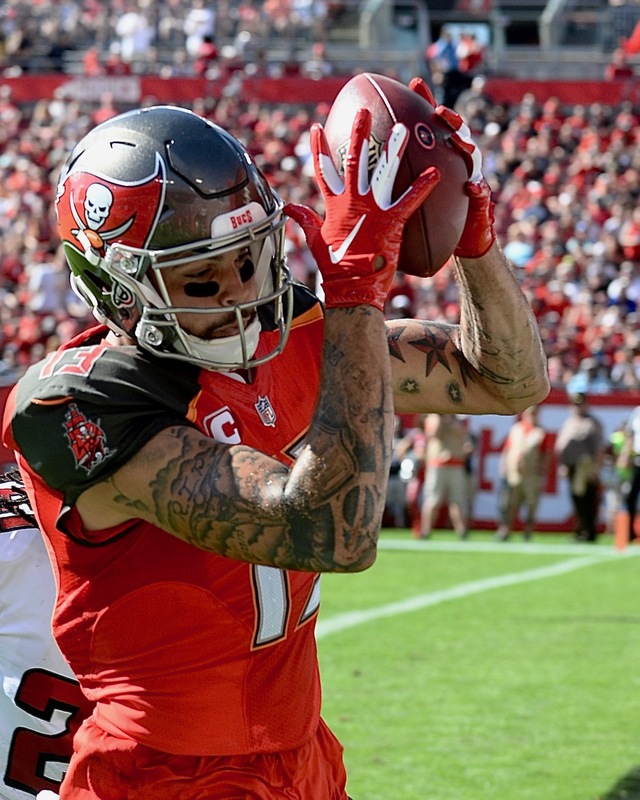 2-8-19 -- The Bucs capped off a 93-yard drive when Winston found Mike Evans in the corner for a 19-yard score. 4-13-19 -- Yeah, it was a chip shot. But when Matt Bryant hit a 37-yard field goal for the winner, it was a reminder that the Bucs threw Bryant away after the 2008 season. For the last decade, he's been putting nails in the team's coffin. 3-11-32 -- How does a team overcome a first-and-24? With plays like the one where Ryan -- on third and 11, hit Julio Joes for 16 yards to essentially end the game. 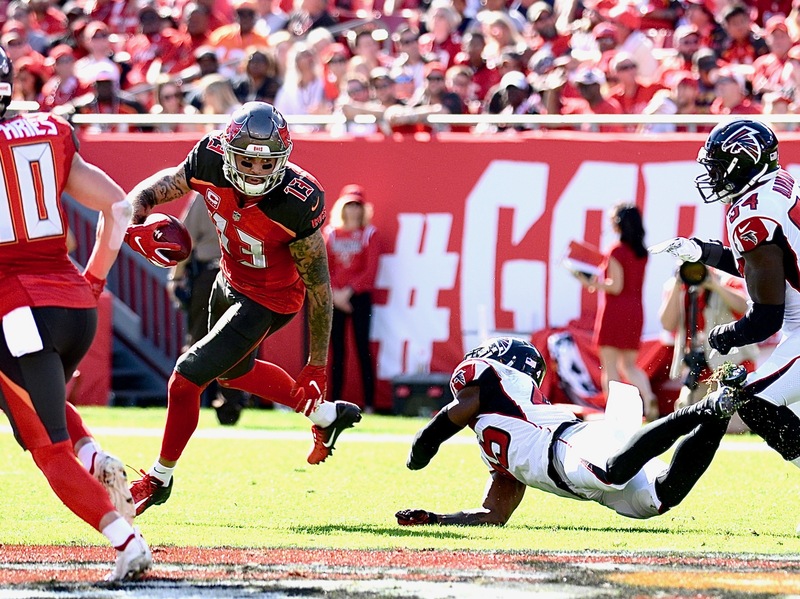 3-7-35 -- Ryan to Jones has become the most vexing combination in the NFC South for the Bucs. Here, they found each other for nine yards and a first down on their way to a touchdown. 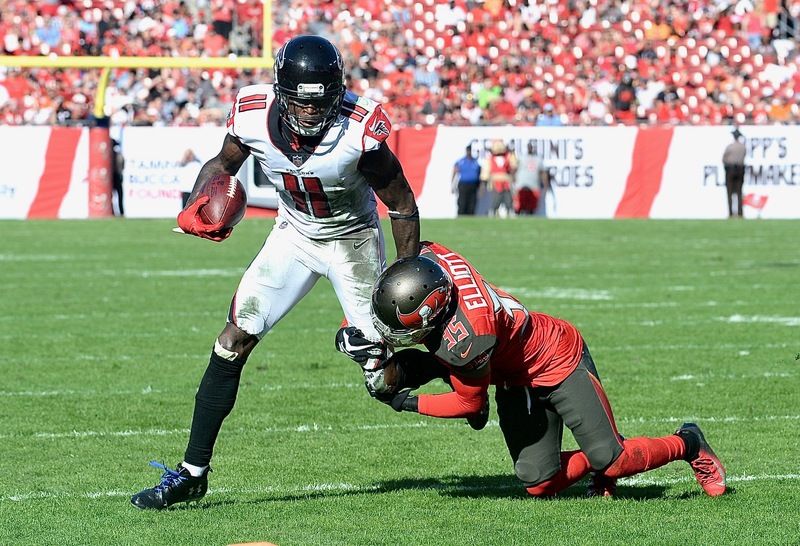 3-5-5 -- The Falcons call the play "Pirate," and it shivered the timbers of every Buc fan alive. Ryan handed off and rolled into the right corner, where he took a pass from Mohamed Sanu. 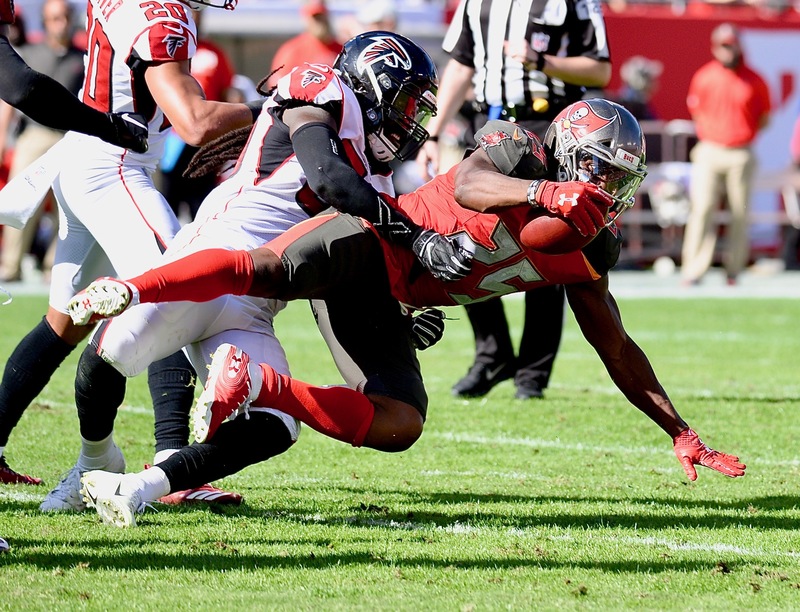 3-17-34 -- The Bucs showed they had no idea what a third down is for when they didn't cover Sanu, who converted the third-and-long with a 32-yard catch. 1. Andrew Adams intercepted his fourth pass of the season, which makes him tied for seventh in the NFL. 2. Adarius Taylor was second on the Bucs with seven tackles. 3. Brent Grimes has been invisible most of the year, but he had five tackles and three passes defensed. 4. Vinny Curry, likewise, has been unseeable. But he had two tackles, including one for a loss. 5. Bobo Wilson averaged 30.3 yards on three kickoff returns. 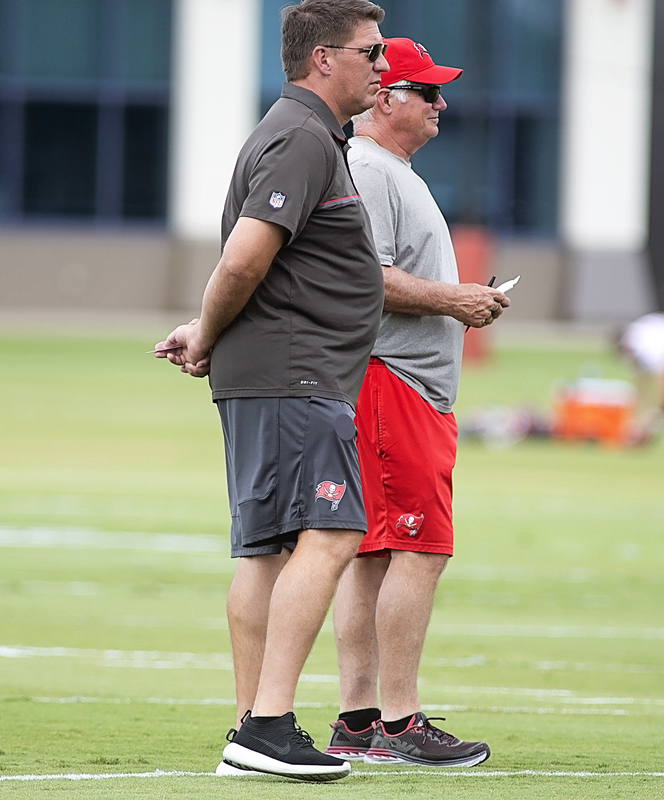 Bucs' General Manager Winning Pct. 1. His rating of 90.2 was the second highest in career. 2. His completion percentage of 64.6 was the highest of his career. 3. His touchdown percent of 5.0 was the highest of his career. 4. His yards per game 272.0 was the highest of his career. 5. His yards per attempt 7.9 tied for highest of his career. 1. He won just three games this year, the second straight season he has won only three. In those two years, he is 6-16. 2. He threw 14 interceptions, tied for fifth in the NFL despite starting just nine games. 3. Over the last two seasons, he has started just 22 of 32 games. 4. He was sacked 6.7 percent of the time, the second straight season he had more than six. 5. His total yardage was fewer than 3,000 for the first time in his career. Yes, he missed starts. They were his fault. 1. Mike Evans, wide receiver ... set a team yardage record. 2. Jason Pierre-Paul, defensive end ... His 12.5 sacks ended a streak of years without double-digit sacks. 3. 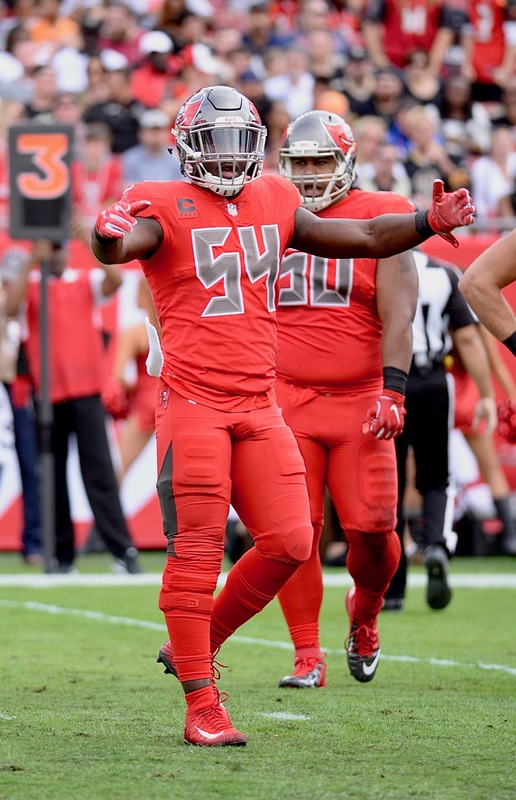 Lavonte David, linebacker ... still a tackling machine. 4. Ali Marpet, guard ... Has become the best lineman on the team. 5. Jameis Winston, quarterback ... There are still detractors, but he had five games where his rating was over 114.0 and five where he threw for more than 300 yards. 1. 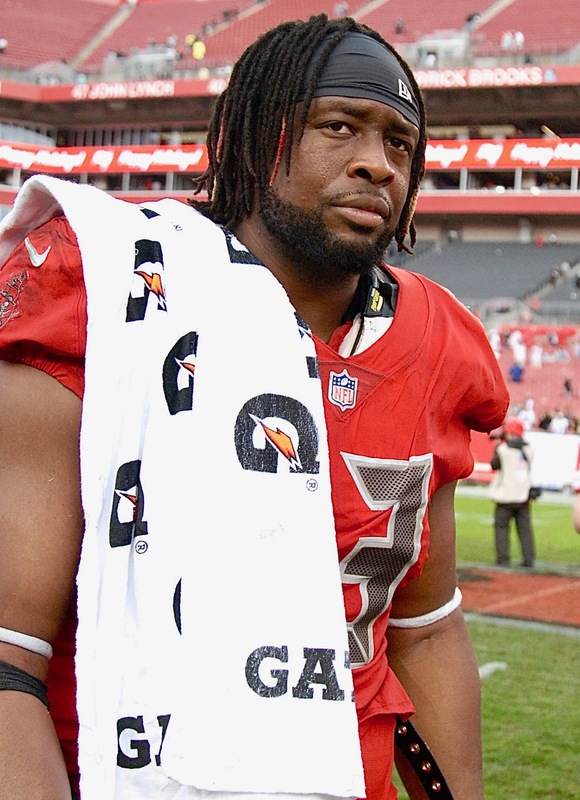 I've never quite understood the harping on Bucs' defensive tackle Gerald McCoy, a several-time Pro Bowler who is one of the best ambassadors off the field. No, he hasn't made the playoffs, but the Bucs have let him down a lot more than he has let them down. If he goes, he'll be missed. 2. It's not quite accurate to suggest that Jason Licht has had three head coaches. He wasn't here yet when Lovie was hired. Still, Licht might be the luckiest general manager in the league after his second-round history. 3. I have a simple word for the Cardinals if they want something in return for former coach Bruce Arians. No. I don't even add thank you. I like Bruce, but not at the thought of payment. 4. The last time the Bucs had the No. 5 pick in the draft, they took Cadillac Williams from Auburn, who was great until he started blowing out patellar tendons. Still, the Bucs could use a pick. Guess what? I think I could do better than Ronald Jones. 5. Congratulations, Toast Jones. Kudos, Sabby Piscatelli. You are no longer among the worst members of the secondary in franchise history. 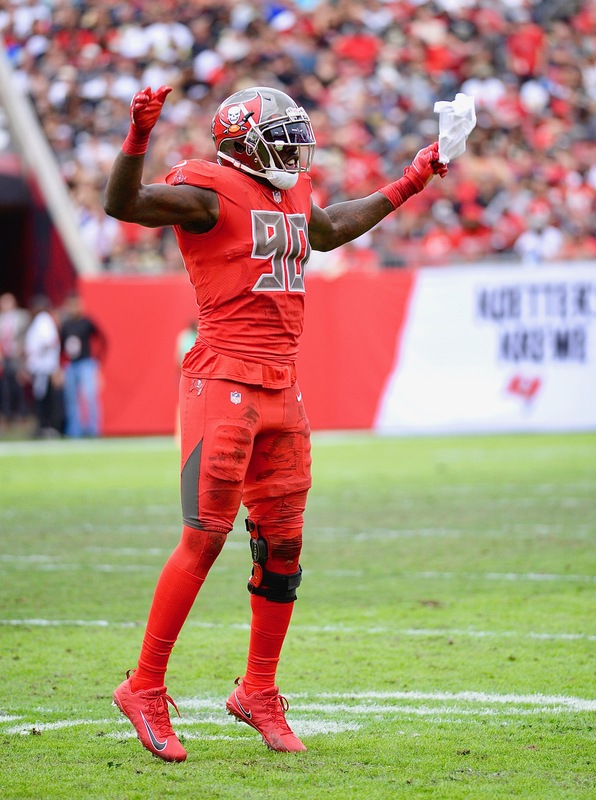 This year, the Bucs allowed 10 opposing passers to rate 100 or higher and four more to rate 90 or higher. 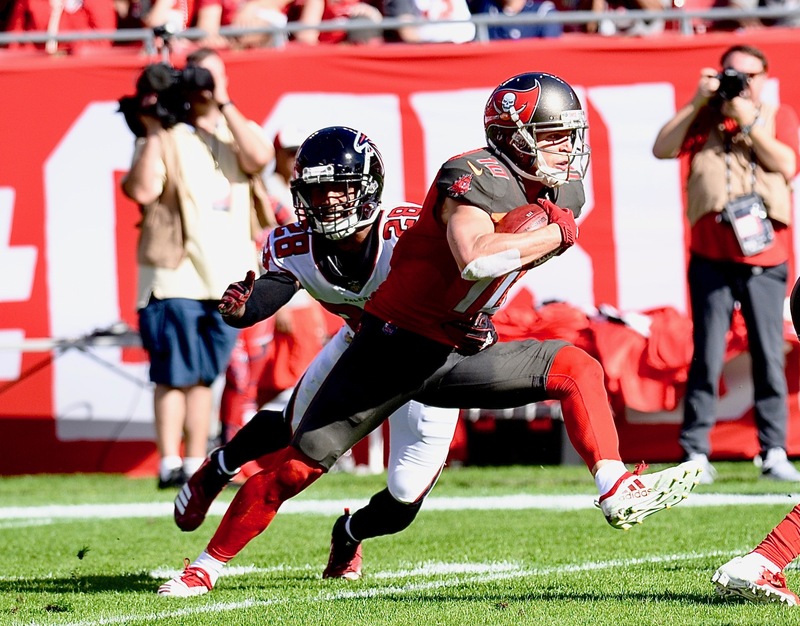 As a team, the Bucs forced only 9.2 incompletions per game and gave up an average rating of 110.9, five-and-a-half points worse than the next-to-last team. How miserable was the pass defense? Consider that in 2002, the Super-Bowl winning Bucs gave up a rating of 48.4 for the season, less than half of this year's rating. Aloe for everyone in the burn unit!